There may be greater joys than seeing a new Muppet movie on Thanksgiving Day, but I would be hard pressed to enumerate them at this time. I was not a little kid when the Muppets were on television weekly, I was a college student, and yet I felt like a kid each time the Muppet Show came on and I got to watch a classic variety show being hosted by the most insane group of characters imaginable. When they made the transition to movies, I was in heaven http://kirkhamclass.blogspot.com/2010/07/muppet-movie-1979-movie-day-day-38.html . The last Muppet Movie was back in 1999, Muppet in Space, it was a weak entry and the characters have been dormant for a dozen years since. This movie represents an attempt to relaunch them into the contemporary entertainment world and keep them the Muppets still. I saw a little bit of grumbling from Frank Oz on the script, and most of the old crew is not connected to this production. We had nothing to fear, I don’t know what Mr. Oz was worried about, this is classic Muppet silliness with a heart as big as all outdoors. The tone of the movie is much gentler than current audiences are likely to be used to. There is a slow build up to the main plot, and there are a lot of background spots that have to be filled in. They are covered by some very effective jokes and gags that remind us who the characters really are and why it is that we have missed them all this time. With stars like Amy Adams and Jason Segal, you might think that the focus is going to be on the humans rather than the Muppet characters, but that is not the case. There is a slight secondary story that connects the characters and it has to be resolved, but it is not the main focus and there is clearly a love of the felt characters by the human leads. 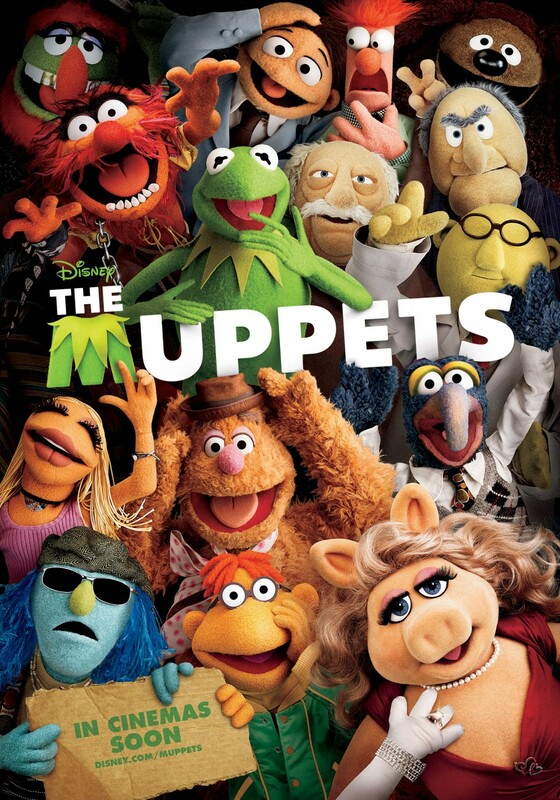 Many of the jokes that fill the movie are of the bad pun, silly sight gag, vaudeville style throw away variety that made the Muppets stars more than thirty years ago. Introducing a new character, that belongs in the Muppet world more than the human one, is the way the story pulls us through the contemporary ignorance of the world to Muppet perfection. “Walter”, is not an unusual character like Gonzo, an animal like most of the other performers, or a giant misfit. He is most closely comparable to Scooter, a kid that exists in the human world but clearly is different. You know how much like previous Muppet films this will be when you discover that Walter is the brother of Jason Segel’s character. There are no tasteless jokes about Grover being the family’s milkman, it is just taken for granted that this is how the world is. The movie plays it straight according to the rules established by all the past Muppet history. It is what it is and we just go from there. It is clear however, that although both Walter and his brother loved to original Muppet Show, it is Walter that relates to them, and he has always been different as a result. The introduction of his character, the drive that his story arc puts on the plot, and the resolution that comes at the end, largely succeeds in giving the audience someone to root for in addition to our old friends. I guess younger kids may need a bridge to the original characters since many of them have not had Kermit and company in their lives on a daily basis. I know so many people that just can’t stand musicals or do not understand them at all. Some of these same people would have no trouble enjoying Neo dodging bullets, or super heroes flying, but the idea that some one might sing and dance as a way to tell a story befuddles them. I have loved musicals all my life. 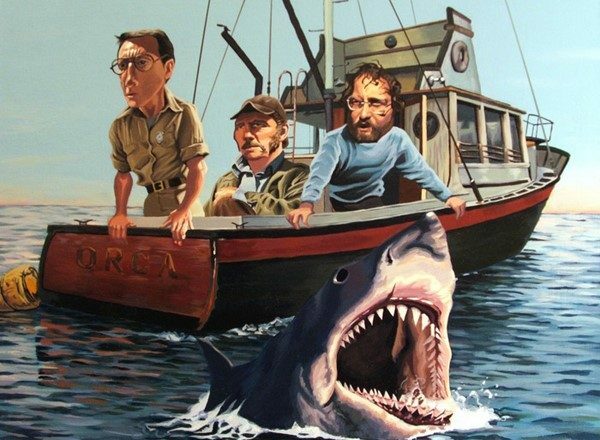 Fred Astaire, Gene Kelly, The Sharks and the Jets are perfectly logical in the cinematic world I live in. I was giddy when the first song in this movie broke out. I was pleased that there were new songs mixed with old ones, and I was frustrated when the ten year old behind me said, “Oh no, he’s not going to sing again is he?” when Segal’s character has to decide which world he needs to live in. “Of course”, I wanted to scream, “what movie did you think you were coming to see?” That is not how to win over friends for my beloved franchise. Ultimately, everyone in the theater seemed happy, and while some may not care for the sweet nature of a Muppet film, with it’s singing and dancing, it was catnip to me. There were some very nice cameo appearances by a variety of stars, just like we got in the old days. There were some references to the old show to, and I miss Bob Hope and Dom Deluise, and a host of others. The new crop of Muppet costars are fine, but there were only a couple that brought a smile to my face just by seeing them. Most don’t have much to do, but that is not their function. They are there to remind us that this is a show business story. That big stars and new stars come and go but that the Muppets should always be the same. I can safely say that they are, still crazy after all these years. The film lover that I am, I've actually stopped going to the movies for a variety of reasons; my intolerance for the people around me and their electronic devices being the strongest reason. However, being the father of a five year-old means that every once in a while I have to return to the movie theater for his benefit. That being the case, I saw THE MUPPETS with him the day after Thanksgiving. For my tastes, there were some good laughs in the right places, but I never really enjoyed Muppet movies, even when I was 12 years-old in 1979 and the THE MUPPET MOVIE came out. I guess that's due to my general dislike of musicals, even when the singing is coming from muppets. I loved TV's THE MUPPET SHOW a whole lot more than the movies (at least a lot more when Julie Andrews WASN'T singing). My son loved THE MUPPETS, though, and I guess that's what really matters, right?